Around the world our LFC International Academies provide young players with an opportunity to develop, learning new techniques and skills, all under the guidance of our coaching staff. Our overall aims are to bring LFC to our young fans around the world and to demonstrate just how special our football club is. 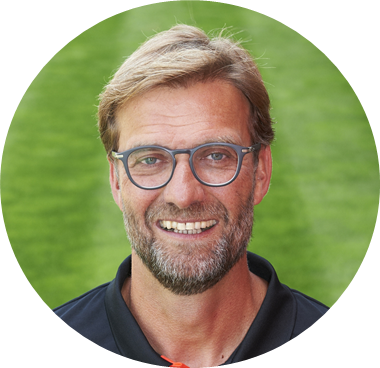 Wherever you are lucky enough to attend a LFC coaching program we hope you have fun and enjoy learning how to play ‘The Liverpool Way’. Liverpool Football Club is the best club in the world. As one big LFC family we have a responsibility to provide young players around the world with access to the best environment and coaching possible, that's what we aim to achieve with our International Academies. By following the same curriculum that we deliver to our players at the LFC Academy we can ensure that all participants get the very best football education from our coaching staff. I believe it's very important to develop a players' skills both on and off the pitch and our International Academies do just that. I am extremely proud to be an ambassador of this fantastic program which continues to go from strength to strength. This role allows me to take LFC to our young fans across the world and show them just what it means to be part of the LFC family. Liverpool Football Club is recognized around the world as one of an elite group of clubs with a true worldwide reputation. We pride ourselves in creating the best environment for the development of young players, both as footballers and as people. We have a very special philosophy which is well known by our players, staff and fans, is recognized all over the world and sets us aside from other football clubs. The characteristics of playing 'The Liverpool Way' were no more evident than during the 2005 Champions League final. Team spirit, hard work, determination and the ability to overcome any obstacles in life and above all play with dignity and fair play.... these are all the values and characteristics we look for in our players. For the last 50 years the club has been at the forefront of British and European football, winning numerous championships and European club tournaments. During this time, there has been a consistent tradition of developing top class players, particularly from the Liverpool Academy; Steven Gerrard is the ultimate example of a home grown talent who ranks at the very top of the worldwide game.